A private outdoor oasis awaits you in this breathtaking, bright & airy, 4br/3ba + loft pool home with soaring ceilings located in the highly sought-after, private upscale community of ballenisles. This open & spacious yet relaxing home is great for entertaining and has many desirable features including huge windows & wall-to-wall sliding glass doors with clerestory windows above, tiled flooring laid on the diagonal throughout the living area, an open concept kitchen with white cabinets and a gas stove, a spacious master suite with engineered wood flooring, and access to the large covered patio. The pool & spa have a paver deck and natural gas heater. Information appearing on this website, including but not limited to square footage and lot size, is believed to be accurate, but ballenisleshomes.com and Lara Cole do not warrant or guarantee such accuracy. You should independently verify all relevant information prior to making any decisions based on such information. Listing courtesy of Echo Fine Properties / Illustrated Properties. Planning a move? Find out how much your BallenIsles Home is worth and other information that will help you make the right choice in selling your BallenIsles Home. This is a one-stop real estate website for all your home buying and selling needs in BallenIsles Homes. The data relating to real estate for sale on this website comes in part from the Internet Data Display program of Regional MLS Inc. In which Illustrated Properties participates. No warranties, expressed or implied, are provided for the data herein, or for their use or interpretation by the user. This information is not verified for authenticity or accuracy and is not guaranteed. © 1998 – 2014 Regional Multiple Listing Service, Inc.
ballenisleshomes.com puts property listings for all of the area homes for sale on a single location for your needs, especially for BallenIsles Homes. In Palm Beach Gardens, FL we offer BallenIsles Homes and other homes in golf club communities. Simply search to see our database of BallenIsles real estate listings, BallenIsles houses for sale and other BallenIsles real estate property currently available. 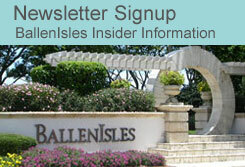 So whether you're looking for BallenIsles real estate or another club membership details along with property listings, stop looking because you have found ballenisleshomes.com. Every BallenIsles property listing provides details about the property you are interested in so you have a good idea of what amenities are included and what BallenIsles memberships are available. Copyright © 2019 BallenIslesHomes.com. All Rights Reserved.